Miniature Schnauzers etc. 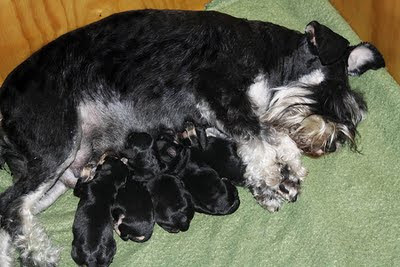 : Lacya's litter is here! Sometime in between 3 and 4 AM. Mommy Lacya is done and we are SO DONE. 3 boys and 2 young ladies are enjoying their first meal! New Champion from Shazzam Of Oz and her family.